Whatever your leadership ambitions, you need to understand how markets work and how to build a thriving organization. But to make a deep impact in coming decades, you also need to be able to navigate the complexity that exists where sectors, regions, and cultures intersect in an increasingly connected world. 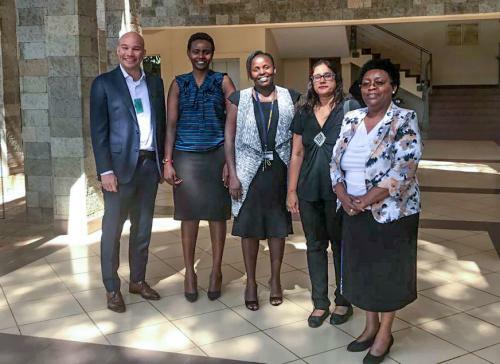 The USIU-Africa MBA one and half year program provides knowledge and skills in selected business and management disciplines, through practical experience, case studies, guest speakers, simulations and research issues. The students are enabled to demonstrate the application of these knowledge and skills in the context of an overall dynamic environment through assignments and projects. Further, the students demonstrate functionality in dynamic organizations; as change managers and change agents in various employee positions. It is expected that students demonstrate abilities in working as a member of a multicultural team; collecting, analyzing and critically evaluating data as well as other information so as to arrive at reasoned conclusions. They have to also demonstrate an ability to evaluate the environments of organizations and develop responsive strategies for organizations; an advanced competence in interpersonal, oral, written, quantitative, and technology management skills. The program prepares students for positions in management or consulting, or entry into doctoral programs. Business is evolving more rapidly than ever before. The challenges are more complex, the stakes higher, and the players are increasingly global. The only constant today is change and USIU-Africa Chandaria School of Business prepares its students not just to navigate change, but to use it to create new opportunities. MOD is a one year program for middle and senior managers who want to deepen their understanding of the most complex management issues facing leaders worldwide. The program targets students with work experience background from local and international NGOs, public and private educational institutions, health institutions, faith-based organizations and community based organizations. Across sectors, the world needs broad-minded leaders with extended lines of sight to seize opportunities and lead change in times of escalating complexity. The MBA (Global Business Management) program is a rigorous one year course of study that focuses on globalization, entrepreneurship and applicability. The MBA (Global Business Management) program at the Chandaria School of Business is intense and challenging. Through coursework, interactions with academic experts and leading practitioners, and a network of classmates and alumni in your field, you will build a foundation for genuine success. Students bond during intensive course sessions forming relationships that continue long after graduation. Rely ON USIU-Africa alumni community as a resource and be inspired by your peers’ accomplishments. Undergraduate degree from an accredited university. The Health Leadership & Management concentration will specifically equip graduates with a range of competencies, knowledge, skills, attitudes and problem-solving abilities to enable graduates respond to the need for successful management and leadership of health systems. The concentration has been developed for managers who need professional development and progression in the within dynamic health organizations. Thus graduates are equipped with the art and science of managing and leading health systems in a dynamic environment. This is expected to improve health care and bring about a lasting change in health of all the people of Africa. It also provides an opportunity for medical personnel to upgrade their management and leadership skills without necessarily travelling outside Kenya to pursue such studies. 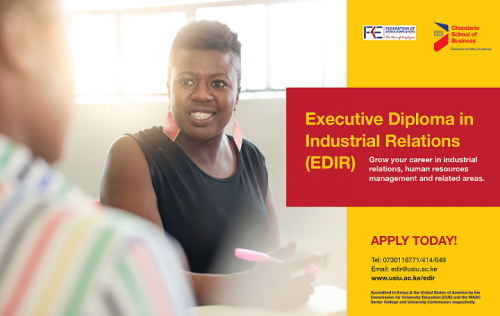 Offers participants the opportunity to pursue an executive MBA in a cohort of fast-tracked peers from around the region. 1 Year program divided into 6 sessions of 2 weeks each spread throughout the year;.